Kipper card 19 – Death. This card must be taken with a pinch of salt. 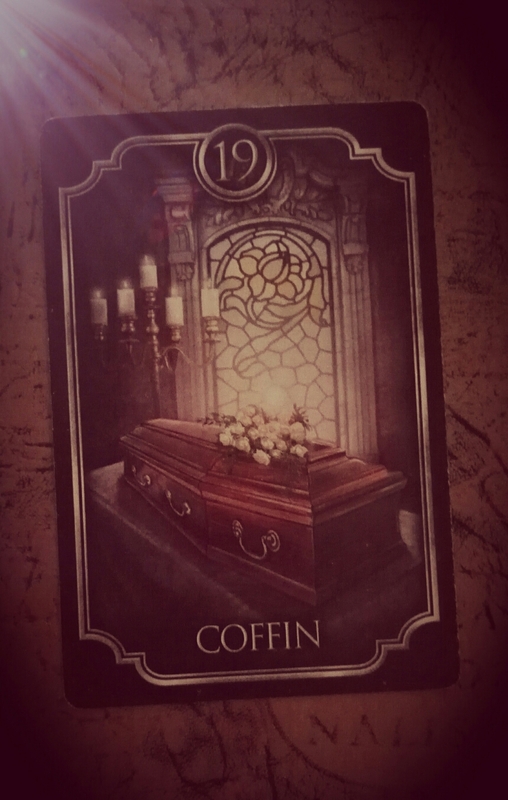 The picture shows a coffin, similarly to card number 8 in Lenormand system. It represents an end but it promises a transition. Though it can be in most cases painful, particularly at first, the appearance of this card indicates that something has to come to an end, and usually, we can’t do much about it. Sometimes it can be positive, for it can stand for the end of a negative or painful situation. It can also mean a long-term farewell, an illness that handicaps us physically or Eternity. Note: This card doesn’t mean a physical that by itself. It happens very very seldom and it always in combination with other cards. Do you want to purchase this deck? If you do it clicking this affiliate link, it won’t have any extra cost for you and you will be collaborating with my blog! Next postKipper card 20 – House.